Hi there! 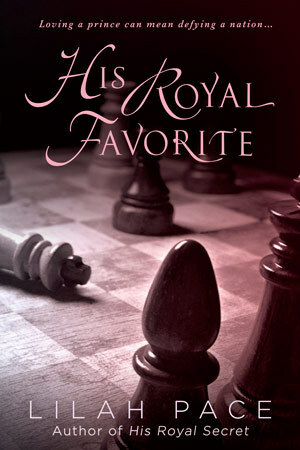 Today I’m sharing a review for a fabulous contemporary M/M royalty romance from Lilah Pace. HIS ROYAL FAVORITE is the sequel to HIS ROYAL SECRET, but I found it easy to enjoy despite not having read the first book. James, Prince of Wales, is making history. He’s decided to come out to his subjects—and the world. However, telling the truth means exposing his relationship with lone-wolf reporter Benjamin Dahan. Although Ben never wanted commitment, the unexpected depth of his feelings leads him to join James in the media’s harsh spotlight. When the news story explodes across the globe, Ben can endure the mockery and dirty jokes. But after his tragic past is cruelly revealed, his life begins to implode. Can even his love for James be worth this? James has it no easier. His revelation divides the country and sparks turmoil within the royal family. He must struggle to defend not only himself and Ben, but also his younger sister, who hovers on the brink of a breakdown that could endanger her life. Is Ben strong enough to survive the onslaught and stand by James’ side? And will James have to make a choice between Ben and the crown? Ben and James met in Kenya, nearly six months ago. Ben is a financial reporter who has traveled the world and seen a lot, but suffered the deaths of his parents when he was young, and also the cruel manipulations of a much elder lover when he was just a boy. James is the Prince of Wales, next in line for the throne. They reconnect in London, and their clandestine relationship has grown to the point of love. To risk a spoiler of the first book, James is now the Price Regent, leading the monarchy as his grandfather ails. His uncle, Prince Richard, is none-too-pleased to learn of James sexuality, and certainly sees how he can use this to his own benefit. James has decided that he can no longer live in the closet, and he’s given Ben the opportunity to walk away–but both men feel a love deeper than either expected, and Ben agrees to come out by James’ side. And it’s horrible. Yep. The tabloids. The royal in-fighting. Ben’s personal insecurities about all the beautiful young gay men being foisted at James, men more suitable partners for their aristocratic blood and genteel manners. Plus, Ben’s job is a source of stress, as a leak seems to be spilling into the papers, there. James is heartsick for all the Ben has lost, but joyous that he can love his man openly. There are many bumps in this road, and not all of them are relationship based. James’ sister, Princess Amelia, is unwell, and has been since their parents died. Her self-harm is at the crisis stage, and James knows that once his “reign” ends, he’ll have no power to get her the psychiatric help she needs; the rest of their family would never institutionalize her for fear of the scandal. And, Richard’s been very chatty with the Archbishop regarding the impossibility of an openly gay man becoming the Governor of the Church of England, as James will, when his grandfather dies and he continues in succession. A grand objection from the church would nullify James’ coronation, and he’d not fight for the crown, if it came to that. Beyond the political, the love story is one that simmers and boils. There are many questions for each man to face, and it’s new to each of them. Neither has had a stable adult relationship before, and they are terrifyingly in love, but is it enough to overcome all the stumbling blocks? Ben is an intensely private man, and he’s being plastered all over the tabloids. He’s fiercely independent, and the security needs relegate him to giving up his flat and essentially moving in with James. His job? Oh man, that’s the worst part. So, it’s an HEA, but in a very realistic way. Life does not go back to “normal” as it cannot, but there are new expectations of normal, and new paths to forge, together. Ben must adapt to life in the spotlight, at least for now, and he gets assistance from some unlikely partners. I really liked how that part worked, because I wanted to see a bridge built between Ben and James’ friends. There is so much bittersweet going on, but the undercurrent of honest love and affection is the most delicious bit. The Epilogue sweeps up nicely all the leftover bits, and helps the reader know that this is a real and true happiness that lasts, not simply the giddiness of first love. No, we can expect that James and Ben make a life together. The whole pomp and circumstance of the Royals is not really my thing, but this book gave it more than just a fantasy role. It’s hard work, and constant pressure, and a whole lot of protocol that keeps it all in order. While I hadn’t much interest previously, I definitely gained a larger appreciation for the institution and I surely loved James for all his selflessness in executing his duties. Ben did, too, and was a giant support when James needed him. Their tenderness was so beautiful, but their sexytimes were tons of fun, too. Interested? You can find HIS ROYAL FAVORITE on Goodreads, Amazon, and Barnes & Noble. I received a review copy of this book via NetGalley. Lilah Pace is a pseudonym for a New York Times bestselling author, so she can’t give away too much about herself here, but she has lived everywhere from Italy to the United Kingdom before putting down roots in the American South. She’s addicted to Diet Coke, loves her dog, and daydreams about several British movie stars (though usually no more than two at a time). And while it took her a long while to get up the courage to write books, now she hopes she’ll never stop. Catch up with Lilah online on her website, twitter, and Facebook.